Description: If you want the best of both worlds an inspection here will not disappoint. 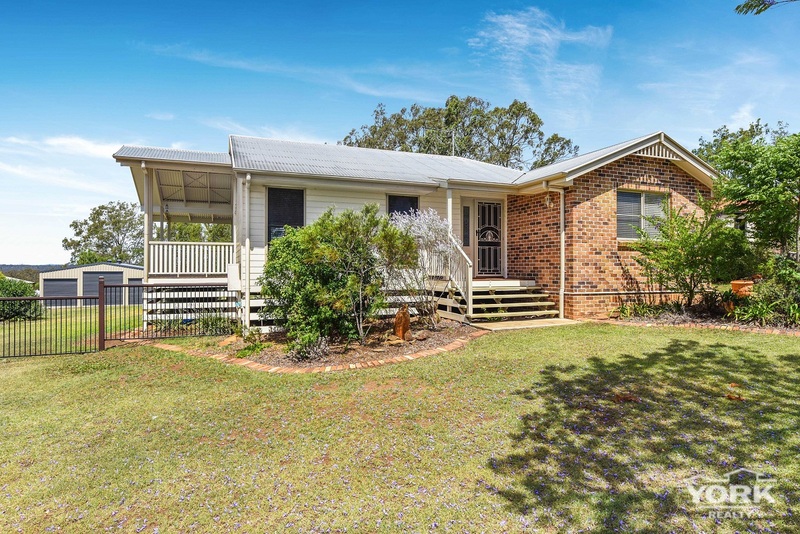 Only 8 minutes to Highfields Village shopping centre and a short commute to Toowoomba City. The home itself has a gorgeous feel with high cathedral ceilings that will immediately grab your attention upon entry. Meticulously renovated featuring 2 large bedrooms with built in robes and ceiling fans plus open plan family living area which flows to the northern deck with amazing views. The kitchen has been finished to high order with soft close draws , quality appliances and extra cupboards. The bathroom has separate bath and shower and there's a good sized laundry. You'll love the polished floor boards updated carpets throughout. Outside you'll feel a mile away from the hustle and bustle in your fully fenced flat block with colorbond shed. There's full rear access from the road and if you are looking to extend in the future professional plans have already been drawn which will be passed to the new owners. Lovingly cared for by the current owners if you are looking for the extra space while staying in a very desirable Crescent book your inspection today there's so much more to see.